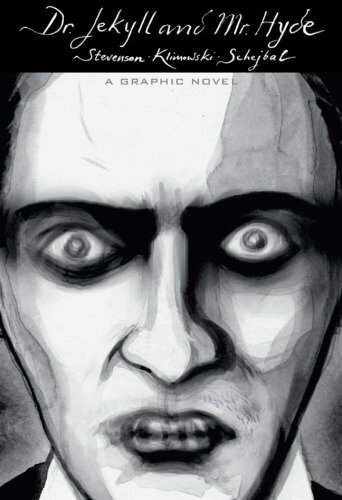 While of course this graphic novel version of Jekyll & Hyde can’t quite live up to the original text, which is one of my very favorite books, the illustrator did an excellent job capturing Stevenson’s tone and atmosphere in his illustrations. The whole book was cloaked in this perfect soft-sketch style, dark and haunting. I really enjoyed it. It’s one of the best GN classics adaptations I’ve read. Plus! – I was really happy it left in my very favorite line: “If he be Mr. Hyde, than I shall be Mr. Seek.” 😀 It’s so cheesy I can’t help but love it! This entry was posted in 2010, Adult, Visual and tagged atmospheric, circus horror, classics, psychology, reread, RIP-worthy, speculative. Bookmark the permalink.